We understand that there is a lot to do in order to prepare for your graduate studies here at Duquesne. However, we are here to help you every step of the way! 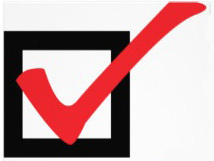 In addition to information that you will receive from your program of study, the following checklist is designed to help you take care of your 'To-Do' list so you will be well-prepared for the start of classes. As always, feel free to contact our office if we can help with any questions you may have as you prepare to make the transition to graduate studies here at Duquesne. Submit Your Enrollment Deposit - If you have not yet done so, please submit your deposit to verify your acceptance to Duquesne University as a new graduate student. Law School students can submit their deposit via the Law School's deposit form. Please Note: If you have received full funding for your degree, you do not need to submit an enrollment deposit. Prepare Your Financial Aid - Our Graduate Financing page is a great place to start to explore financial aid options including assistantships, outside sources of funding and tuition payment plans. Be sure to also visit our Office of Financial Aid website for detailed information on applying for financial aid as a graduate student. Our Financial Aid Office will serve as an exceptional resource to guide you through the process. They can be contacted by phone (412-396-6607) or via email (faoffice@duq.edu). International Students - Visit our Office or International Programs accepted students site for complete information on submitting the necessary forms, applying for your visa, and international student orientation. Submit Your Health Immunization and Health History Forms - Visit our Health Services website for instructions on submitting these forms. A step-by-step video is also available from this site. Note: You will need to access DORI in order to access these forms. Research Health Insurance Options - It is the policy of Duquesne University that ALL students have medical health insurance while at the University. Every student has the option to purchase the medical plan through Highmark or to provide evidence of private health insurance coverage. Visit our Student Health Insurance site for more information. Explore Housing Options - Dedicated on-campus housing is available for graduate students. Living on-campus provides unbeatable access to campus resources and amenities. Additionally, our location is ideal to explore all that Pittsburgh has to offer. Learn more about on-campus housing options available for graduate students. Pittsburgh is an affordable city with numerous housing options in vibrant neighborhoods close to campus. For students interested in off-campus housing, our Office of Commuter Affairs is an excellent resource to learn about local neighborhoods and listings. Research Parking/Transportation Options - Duquesne University offers parking services and permit options; however students are not required to purchase a permit. There are many parking lots and garages on-campus and in the vicinity that offer hourly/daily rates. On-campus permits are available on a first-come, first-served basis. Parking is typically available in the Forbes garage, where visitors can park for a fee without a permit. To view rates and download a permit form, visit the Parking Services website. Many students opt for public transportation. Visit the Port Authority of Allegheny County website for more information about bus and light rail (T) transportation. If you are downtown, the buses and T are free. You can take the T to go to the North Shore for Pirates and Steelers games! Duquesne also offers shuttle service between campus and the South Side for students. This shuttle offers South Side residents a convenient and inexpensive way to get to class, study sessions and other events. The shuttle arrives at Duquesne approximately every 15-20 minutes. Learn more about the South Side Shuttle service. Course Registration - Your academic advisor will be in contact with you to ensure that you are registered for courses. For more information on course registration, visit the Office of the University Registrar. If we can help connect you with your academic advisor, please contact our office and we will be happy to do so. Procure Your DU Card - The DU Card is your official identification card as a student. It also provides access to buildings and residence halls, Power Center recreational facilities, dining and meal plans, library, computer labs, etc. Visit the DU Card website for more information. Complete the New Student Survey - We would greatly appreciate if you would share your feedback on the admissions process as well as your decision to pursue your graduate education here at Duquesne by completing our New Student Survey. Your insights will be invaluable in guiding our future plans.